In 1996, Emergency Medical Services (EMS) was an industry that thrived by relying on volunteers and committed providers. These workers risked their lives daily to help the sick and injured people of their communities. This was also the same year I witnessed my grandmother suffer a massive heart attack. I watched strangers enter my house to care for an elderly woman they had never met before. I saw the professionalism and compassion of these volunteers. Feeling called to the profession, I immediately joined the local ambulance service and became certified as an Emergency Medical Technician. I spent the better part of twenty years helping people during their time of illness. For decades, volunteers were the backbone of ambulance squads. Squads provided coverage and may have used paid staff to supplement coverage mainly during daytime hours. Each municipality had its own service, training was less stringent, and funding was plentiful. There was a camaraderie amongst the volunteers and their respective ambulance companies where everyone had a single focal point – helping people. Fast-forward 23 years later and the tides have turned dramatically— but not for the better. Local governments, excluding most major metropolitan cities, are plagued with ambulance services shutting down unexpectedly with very little notice given. The immediate result is a lack of coverage for residents. Local governments are struggling to figure out what to do next considering there may not be ambulances available for extended amounts of time, if at all. So why are these ambulance services shutting their doors? Lack of staffing is the primary reason since the pool of available providers is shrinking. The training requirements are more difficult today as opposed to 23 years ago. Most providers are working two or three jobs at various organizations just to make ends meet. Competition among active ambulance services is fierce and many have a difficult time retaining staff. A dollar more an hour or better benefits could be the deciding factor. The hemorrhaging continues and creates additional stress on service as they make every attempt to operate. Insurance companies are making it increasingly difficult for ambulances to be reimbursed for claims. Any minor deviation in documentation could result in delay of payment. However, most errors can be corrected and resubmitted for payment. Additionally, insurance companies are not reimbursing patients who initiate a call for service where the chief complaint is a non-emergency. 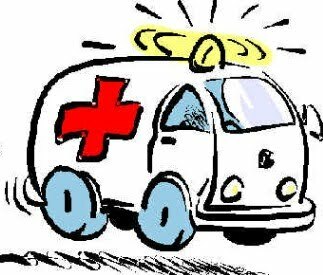 For instance, if the patient only needed a ride to the hospital for diagnostic tests or a cold they would not get reimbursed. Municipalities are putting drastic measures in place, such as ordinances, to combat patients overusing ambulances for medically unnecessary purposes. The city of Allentown, PA enacted an ordinance in 2017 that ultimately holds residents accountable for the bill after the third use of an ambulance for non-emergent purposes. This has created a drastic reduction in medically unnecessary transports, allowing ambulance crews to respond to the residents who truly need assistance. As a public administrator how do you deal with this problem, which may be out of your control? A solid mutual aid agreement that is current will at least provide short-term coverage until a more viable solution is available. Another solution is to meet with your local ambulance service on a regular basis to truly understand their dilemma and collaborate to find a solution. A request for a public allocation from the local municipality could help the service—however, it may be more difficult given the request was not made during budget hearings. It is always best to have the ambulance service meet with the elected officials during budget discussions in order to properly request the allocation and it is also important for the facts to be accurate and not over-inflated. Nominal funding requests are more palatable as opposed to larger amounts of money. A local EMS tax could be enacted—however, in the eyes of the elected officials no municipality wants to create new taxes. Another solution would be to encourage a regionalization approach. Although highly unpopular with existing agencies primarily due to a loss of identity, it is a highly effective way to ensure coverage remains intact for your residents. The concept is successful. However the time to plan and implement this approach is extremely time-consuming. Frequent meetings with the principals could help mitigate some of the challenges faced with regionalization and may expedite the process. Yet the buy-in and commitment is crucial to the overall success of this approach. It is incumbent on us to not only find solutions to daily problems and manage operations, but also to ensure our residents are cared for and protected. In a time of need, 911 is a lifeline to someone who relies on a trained first responder to arrive and provide care for a loved one. Let us be creative in solving a potentially dangerous problem before it exacerbates into a situation where no ambulance ever comes. Someone’s life could be hanging in the balance. Author: Peter Melan is an at-large councilperson in the City of Easton, PA and the chair of public safety. He is in his first year of graduate studies in Public Administration at Ohio University. Peter has been a certified Emergency Medical Technician for over twenty years and has recently served on a state board to help rewrite EMS and fire legislation.